This script is designed to support the Greyhawk Initiative that was discussed in Wizards of the Coast's publicly available Unearthed Arcana. The following assumes you are at least somewhat familiar with this rule set, so please take a look at the rules before proceeding. Getting the players set up and creating all of the macros you need to use this script will take about 10-20 min. The goal of this script is to make the actual combat flow as smoothly as possible, so all of the work is front-loaded. This way you don't have to worry about anything once you actually start playing. You only have to do this setup 1 time per game. There is currently a limit of 1 character per player and every player you have added must participate in every round of combat. So if a player is not present for a game, or a specific round of combat, you will have to remove them and add them back once they playing again. Add each player to the script with: !gi setPlayerCharacter "[Player Name]" "[Character Name]"
!gi setPlayerCharacter "Charlie" "Shrock Tem"
!gi setPlayerCharacter "Mike" "Lend Khi"
!gi setPlayerCharacter "Lima" "Ja'ab Chaimlu"
To remove a player use: !gi removePlayer "[Player Name]"
Monsters are super easy. All you have to do is add a turn for them to the turn tracker. You can do this by right-clicking the token and picking add turn. When you use the Start Monster Initiative and Next Monster Initiative it will go through the list of monsters that have a "turn" already in the initiative. This way you don't have to select through every single monster on the page every single time. This is the long part. You will have to create about 20 macros for your and your players. Depending on what rules you are using there will be more. I name all of the macros starting with "GI-" so that all of the macros will automatically be sorted together, to help with organization. You can name them whatever you want, the name doesn't matter. If you add all of the macros to your macro bar you can then rename and color-code them for easy use. 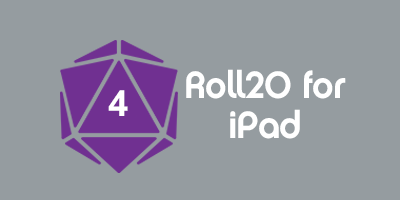 !gi rollRound Takes all of the actions for every character in the round, rolls them together, and updates the initiative tracker. This automatically checks to make sure all players are ready and will not let you roll until they are. !gi resetRound Marks every initiative 0 and will remove all character actions so that players and monsters can roll from scratch for the next round. !gi getPlayersReady Either returns a list of all players that have not hit the "Ready!" button or returns "Everyone is Ready" if that is the case. !gi startMonsters This will start the monster initiative procedure. It will highlight the "current" monster and all other actions selected will be added to this monster. When you are done you can select "Next Monster" to move down the list. All monsters will be chosen from the initiative list. !gi nextMonster Selects the next monster or, if you're on the last monster already, will unselect the monsters. !gi getmonsteractions Outputs the current monster's currently selected actions. !gi resetMonster Resets the current monster's actions to nothing. !gi addMonsterAction [dice] "[name of action]" Adds the specific action with the chosen dice to the current turn for the current monster. You will have several of these, one macro for each different action. You can have the players create their own macros, or you can create them yourself and make them visible to everyone. You will probably want to make them yourself and share them, to make sure that everything is set up correctly. The only time I would suggest the players making their own is if you are using the version of the rules where an attack's dice is based off the weapon damage, so you would have a different macro for every single weapon. !gi ready Indicates that the player is done assigning actions for the current round. Once all players have clicked Ready!, it will post a message in chat saying "Everyone is Ready". !gi reset Resets a player's actions, for the current round, to nothing and sets them as "not ready". !gi addAction [dice] "[Action Name]" Adds the specific action with the chosen dice to the current turn for the player. The player will have several of these, one macro for each different action. I've already set up my 3 players' characters, and have the action macros from the standard version of the rules: Ranged Attack (d4), Move, Other (both d6, but should be separate for clarity sake), Melee Attack (d8) and Spell (d10). This will also, automatically, inform the players to start selecting their actions for the next round. Zombie A is going to move and attack: Add action d6 "Move" and Add action d8 "Melee Attack"
You will receive a whisper for each action, telling you the current list of actions. There are no more monsters, so the highlighting is removed. All of these actions can happen at the same time. The players can take time to discuss their actions and then all enter their actions simultaneously. These actions will automatically be added to the token on the board that represents the character you added for them at the beginning. If they get the "The GM has not created your character yet. ", it means you need to run the !gi setPlayerCharacter "[Player Name]" "[Character Name]" command for them. Lima decides that they are at a safe distance and just want to cast a spell: Add action d10 "Spell" and Ready! Mike decides to move closer and attack: Add action d8 "Melee Attack" and Add action d6 "Move" and Ready! Mike remembers that they are low on hp: Add action d4 "Ranged Attack" and Add action d6 "Move" and Ready! Charlie is going to move closer and attack: Add action d8 "Melee Attack" and Add action d6 "Move" and Ready! As soon as all 3 players have hit the "Ready!" button, chat says "Everyone is Ready". This page was last modified on 26 March 2018, at 17:29. This page has been accessed 3,422 times.